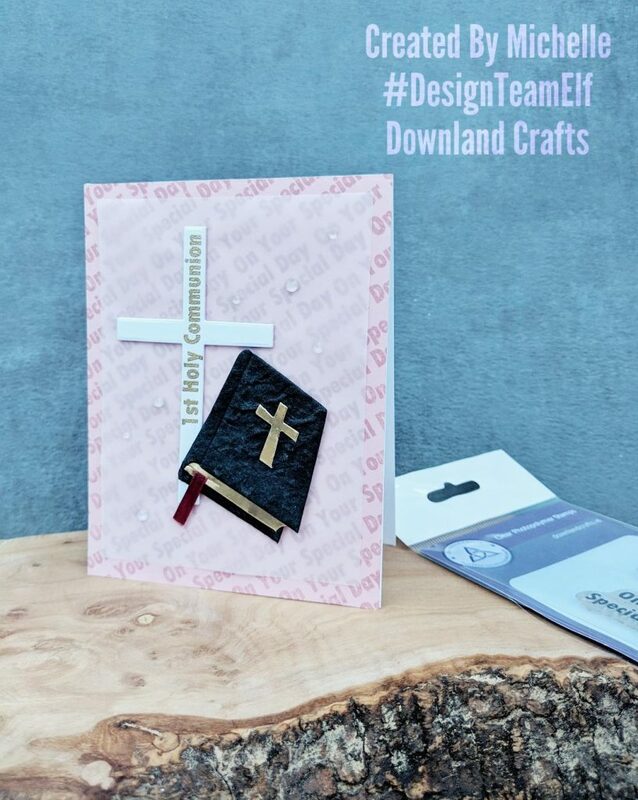 I would like to walk you through how I made the ‘1st Holy Communion’ card – which I suspect I will be making alot of as I have 2 little girls who will be dressed in white in May! 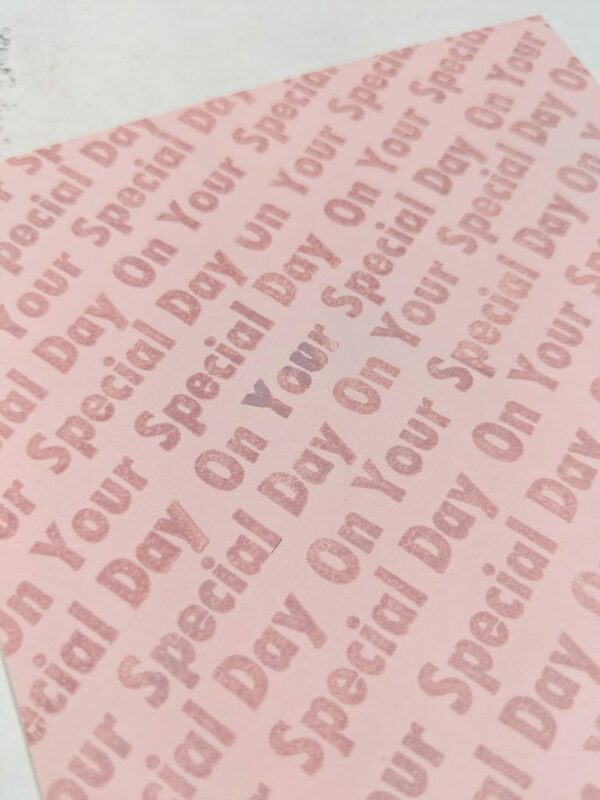 I started as I always start, with a vague idea of what I want to actually do with the stamps. I knew I was going to make a background using one of the stamps and in this set, the stamps are stacked over each other and not in a single line, so I did what terrifies most sane people and cut them apart so I could mount them on a straight line instead. (If you do this, use a sharp scissors (don’t run with them) and make sure there is enough clearance on both sides that you are positive you will not cut into the actual text part itself). It does get easier the more you do it and I haven’t ruined one yet. Originally I tried gray ink on light gray cardstock and I thought it looked too dull so I switched to pale pink with Victorian Velvet distress oxide ink. You know you can stamp easily with Oxides but be careful that you don’t get it wet as it will change color on you as it did here, but rather than start again, I chose to hide that oxidized part with my other element. I die cut a cross from my stash and was a little disappointed that the ‘1st Holy Communion’ sentiment (yes, I cut it apart also) was a little too long to be on the horizontal bar, so instead we went vertical. I heat embossed the ‘1st Holy Communion’ sentiment in gold. Last year I had purchased these ridonkulously cute bibles from Downland Crafts so this was the perfect opportunity to use one to complement the cross. When I placed the cross and the bible on the background directly it looked a little to harsh so I used a slightly smaller piece of medium weight vellum to overlay the background. I was much happier with that and it allowed the cross and bible to take center stage on the card. All that was left was to add a few clear gems I had in my stash and I called it a day. Another great post Michelf, the vellum was a great idea.